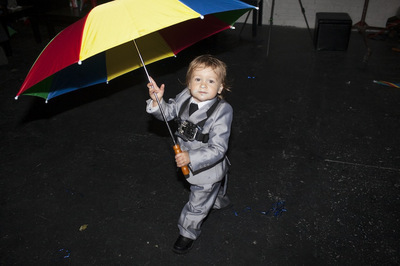 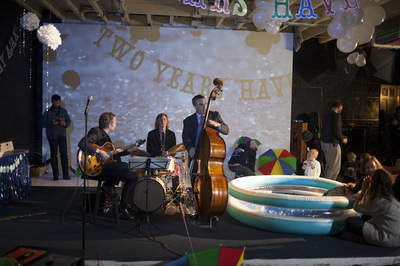 Presented by Microscope Gallery in October 2013, two years after the baby's birth, Ajax's Second Birthday Party, like many of the artist’s previous works, positioned an actual real life occasion – in this case the actual 2nd birthday of her son – as a performance in which the public was invited to participate. 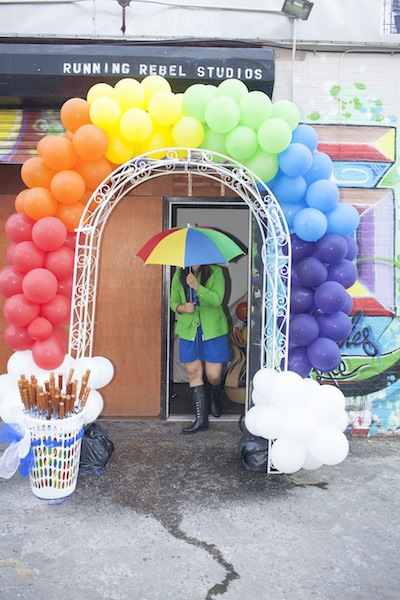 For “Singin’ Rain…”, Kotak debuted an interactive and immersive video and sound rainstorm installation, including a rain machine and umbrellas for all. 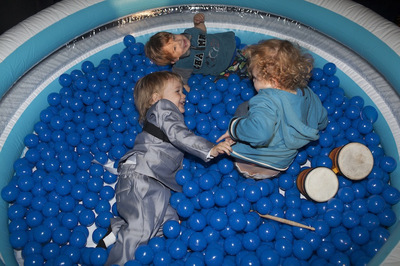 The event also featured live music by jazz trio The Brooklyn Players, instruments for others to join in, and a ball pit for toddlers.